- (4:18) THE INVISIBLE LIFE OF JIMMY OLSEN (9 pgs. ), was written by Otto Binder, pencilled by Curt Swan and inked by John Forte. This story was originally published as the first of three stories in SUPERMAN'S PAL JIMMY OLSEN 40, October 1959, released on August 13, 1959. It contained 32 pages for the cover price of a dime. The story was also reprinted in SHOWCASE PRESENTS: SUPERMAN FAMILY vol. III. We first covered this story back in Episode 285 Part II for the week of October 23, 2013. - (21:02) PERRY WHITE, CUB REPORTER (7 pgs. ), written by Robert Bernstein, pencilled by Curt Swan and inked by John Forte. This story originally appeared as the second of three stories in SUPERMAN'S PAL JIMMY OLSEN 42, January 1960, published on November 19, 1959. It was first covered back in Episode 292 Part II for the week of January 29, 2014. - (35:28) JIMMY OLSEN, SPEED DEMON (8 pgs. ), written by Otto Binder, pencilled by Curt Swan and inked by Ray Burnley. 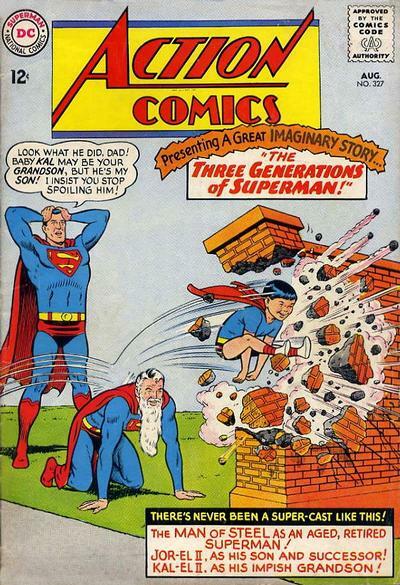 It was first published in SUPERMAN'S PAL JIMMY OLSEN 15, September 1956, around July 19, 1956. It contained 32 pages for the cover price of a dime. This story was also reprinted in SUPERMAN: DAILY PLANET and SHOWCASE PRESENTS: SUPERMAN FAMILY vol. III. We first covered the story in Episode 199 for the week of October 5, 2011. - (44:09) THE RADIOACTIVE BOY (8 pgs. ), written by Otto Binder, pencilled by Curt Swan and inked by Ray Burnley. It was first published as the second of three stories SUPERMAN'S PAL JIMMY OLSEN 17, December 1956, released around October 11, 1956. It contained 32 pages for the cover price of a dime. It was first covered back in Episode 205 for the week of November 16, 2011. - (53:26) JIMMY THE GENIE (10 pgs. 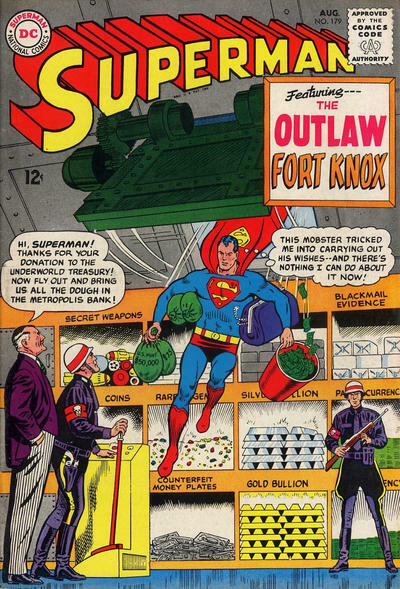 ), written by Robert Bernstein and pencilled by Curt Swan. According to Mike's Amazing World Of Comic Books, Craig Flessel was the inker, while the Grand Comic Book Database credits John Forte. This story was originally the third and final one in SUPERMAN'S PAL JIMMY OLSEN 42, January 1960, originally released on November 19, 1959. In the story credits for this issue the inker is given as possibly John Giunta, according to the Grand Comic Book Database. We originally covered this story on Episode 292 Part II for the week of January 29, 2014. It was also reprinted in SUPERMAN: THE AMAZING TRANSFORMATIONS OF JIMMY OLSEN and SHOWCASE PRESENTS: SUPERMAN FAMILY vol. III. - (1:10:47) SUPERMAN'S ENEMY (9 pgs. ), written by Otto Binder, pencilled by Curt Swan and inked by Ray Burnley. It was first published as the third and final story in SUPERMAN'S PAL JIMMY OLSEN 35, March 1959, released on January 6, 1959. We first covered this story in Episode 269 for the week of May 15, 2003. This story was also reprinted in SHOWCASE PRESENTS: SUPERMAN FAMILY vol. III. 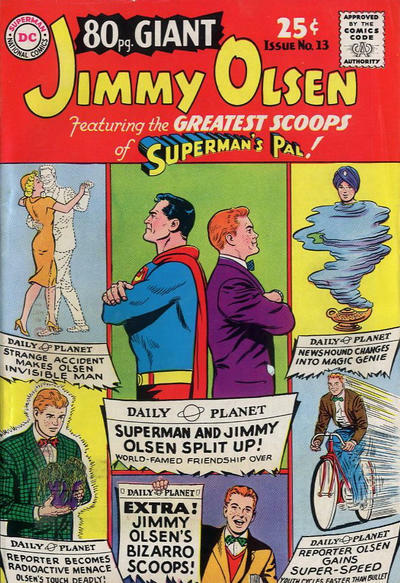 - (1:21:51) JIMMY OLSEN'S KOOKIE SCOOPS (12 pgs. ), written by Jerry Siegel, pencilled by John Forte and inked by George Klein. It was the 92nd Siegel Superman Family story we've covered for the silver age, and his 146th story overall for the era. It was originally published as the third and final story in ADVENTURE COMICS 287, August 1961, released on June 29, 1961.This story was also reprinted in SUPERMAN: TALES OF THE BIZARRO WORLD. 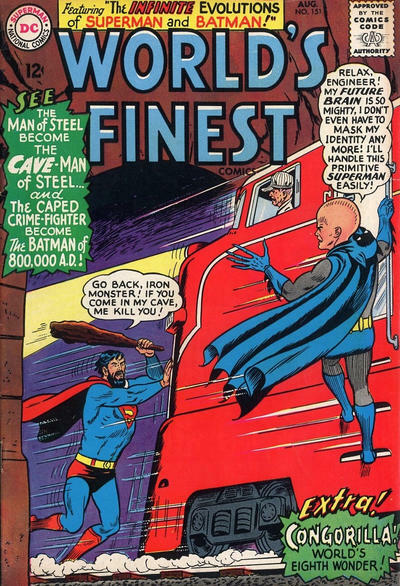 - (1:37:00) SUPERMAN'S SUPER-RIVAL (9 pgs. ), written by Bill Finger, pencilled by Curt Swan and inked by John Forte. This story was originally published as the first of three stories in SUPERMAN'S PAL JIMMY OLSEN 37, June 1959, released on April 7, 1959. We originally coverd this story in Episode 277 for the week of August 15, 2013. Next Episodes: SUPERMAN FAMILY COMIC BOOKS COVER DATED AUGUST 1965 PART II: WORLD'S FINEST COMICS 151, PART III: SUPERMAN 179, PART IV: ACTION COMICS 327 & PART V: SUPERMAN'S GIRL FRIEND LOIS LANE 59!